Q. Today, everyone is talking about cyber-security, what are the trends you see in the industry? Today, we are witnessing a trend in how organizations manage their cloud migration. So, I’d say that one key thing is increasing the use of hyper-scale type organizations like Amazon Web Services, Alexa cloud etc. When a lot of this happens in and out of the public cloud, one needs to be completely aware of the security it provides. While this opens a whole range of opportunity to accelerate businesses to use the software as a service, it also brings forth the questions as to how would one manage security around it? Access and controls need to be thought about carefully, along with bringing all of these services together. From my perspective, that’s one big trend going around, where you use advanced services of the cloud without compromising on the security of your organization. The second is compliance. There is increasing regulation coming in the form of many different types of regulators, particularly in changing their regulatory regimes. We saw that with the latest change with the introduction of GDPR. So that’s another trend where national governments and other regulatory bodies are driving compliance issues for businesses. Q. According to you how is AI going to be affected by GDPR? GDPR presents a good opportunity and is a welcoming regulation in the space. I think it’s a massive step forward to have a regime which is well understood. It’s very early to understand the relevance and impact of GDPR. I think what GDPR has done for most organizations is to give them the opportunity to conduct a risk review of who their customers are, what their responsibility is, which helps them understand how the data flows. As an organization, I think it’s a good thing. And this encryption is not new, it’s well known to us and we have been using those types of tools for many years. So I see GDPR is giving most organizations the opportunity to assess where they are, and then implement those controls wherever necessary. There are, of course, things which, we have to be careful of. But at the root of it, I am sure the fact that someone is taking care and protecting our data seriously is the right thing. Q. How you distinguish yourself from your competitors? BT operates one of the largest networks in the world, which gives us a unique insight into the underlying activities happening in the global networks. So, the first big point of differentiation is how we use that data and insight into our operations. As mentioned, we operate one of the largest global networks, and many of our competitors don’t have that insight. The differentiation for us is working alongside the whole range of the best of breed security vendors, and technology providers in the world, using the information that we have, and then people sitting right at the heart of the matter. We employ some of the most skilled experts in cybersecurity, who can help design and provide services to our customers. We have a very long history and in-depth experience in security that is unmatched. And we have around 3000 people in our security practice, one of the largest in the world. Q. 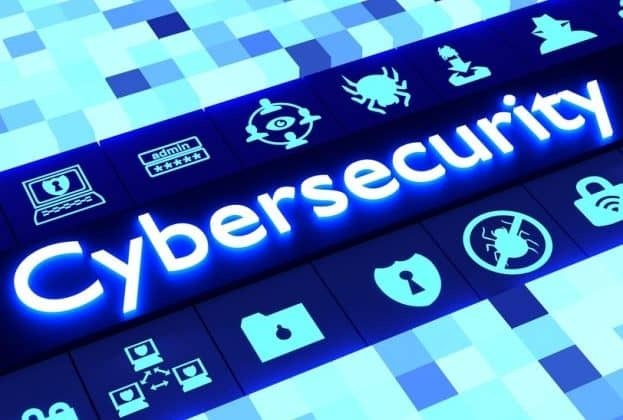 How BT ensure cybersecurity for Indian businesses? Are you planning to expand in India? We have over 400 people working in India with high technical skills. For the Indian market specifically, we have a world-class portfolio of security products and managed services. We are expanding this business further. We have seen our business growing rapidly over the last couple of years and we are sure that this trend is going to continue at a much faster rate. And I think the fact that we’re opening our new centre today only shows the opportunity that the Indian market brings for us. Q. According to you what is the importance of trained workforce? A trained workforce is an asset. And it’s not just as a skilled workforce I would say, it’s being skilled and being trained as well. So, coming with those skills that are appropriate, and constantly being updated for the environment that they’re working in, is something that we take extremely seriously. We have a strategy in terms of how we look at talent, as there is not a lot of people in cyberspace industry with the right skillset. The foremost step is about attracting the very best talent out there. And then clearly developing it further when they come and work with us. To attract, develop and retain are really important, and within that acquiring skills and training them to understand the approach that we take to deliver cyber services to our customers is another. Because ultimately, a lot of what the individual does in our teams, and in the cyber SOC, is about really mission-critical activity for most businesses. If they can’t get their job right, and they don’t understand the context of what they’re doing, that could have a serious impact on our customers. So, it’s not just about having skills, it’s also about being able to understand, the context of what is actually being delivered to a customer. BT Gives A Unique Insight Into The Global Networks: Mark Hughes 0 out of 5 based on 0 ratings. 0 user reviews.